Why See Lyric Opera of Chicago - Don Giovanni? 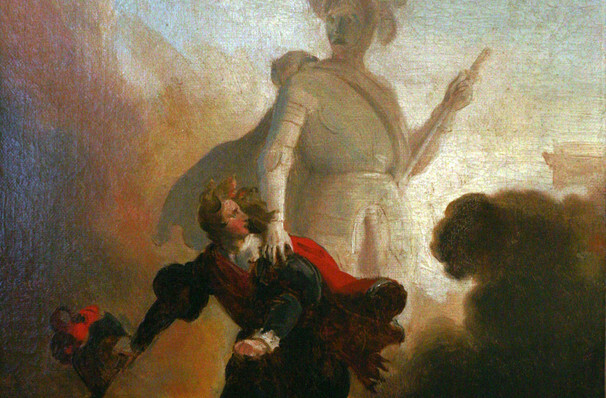 Mozart's ultimate anti-hero returns to prance on the Civic Opera stage this winter! Heating things up with his scandalous ways, Don Giovanni is an impulsive, serial seducer whose libidinous adventures take a turn for the darkly supernatural when he crosses the line and commits murder. Bringing the nobleman's scintillating philandering to life is Russian bass singer Ildar Abdrazakov, who makes his Lyric Opera debut alongside American soprano Rachel Willis-Sorensen in the role of Donna Anna. Accompanied by his long-suffering servant Leporello, Don Giovanni is drawn into a whirlwind of lust and revenge of his own making when his promiscuous and arrogant actions meet their match. After wronging the likes of the feisty Donna Elvira, the woeful Donna Anna (whose father he kills in a duel) and the impressionable Zerlina, his day of reckoning approaches when the ghost of his victim seeks revenge. Considered one of the greatest operatic works in the world, Don Giovanni has a multitude of memorable musical moments including the imposing Overture, the Catalogue Aria, the Champagne Aria and the Dalla Sua Pace Aria. 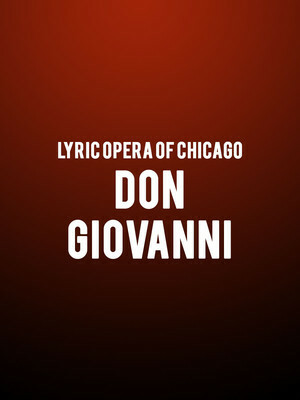 Seen Lyric Opera of Chicago - Don Giovanni? Loved it? Hated it? Sound good to you? Share this page on social media and let your friends know about Lyric Opera of Chicago - Don Giovanni at Civic Opera House.